Here's what JimBob is saying....the awning is clearly "below" the roof edge. 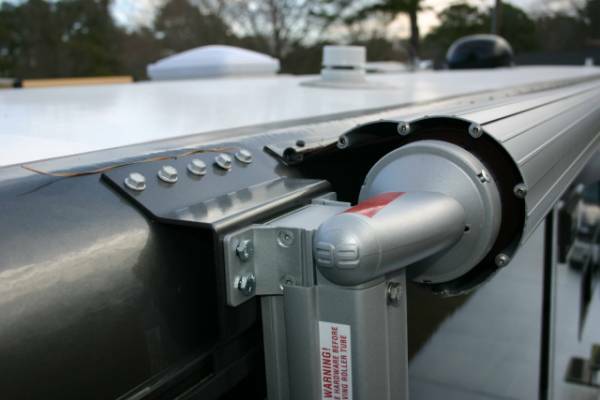 No, the roof edge is down even with the red and white warning label on the awning support. The white to body color transition on the roof is just a paint line, not the edge. Just to answer my own question, I found that if you open the awning a few feet you can in fact get to the roof edge seam. A small mirror might be helpful to look down into the J-channel, however.